Walking Your Dog is Good for You Too! There are many different reasons to take your dog(s) for a daily walk. But among all of the benefits for them, think about how the daily walk affects you as well. 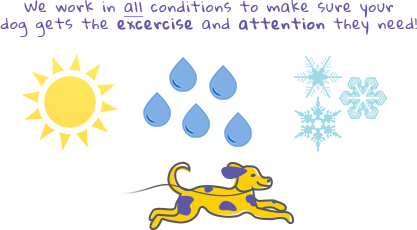 Most of us don’t get enough exercise throughout the day, so a regular walking routine will not only keep your dog healthy, but you as well. Having a dog to walk is one of the healthiest things you can do for yourself. The benefits of having pets around have been proven to enormously increase quality of life. So get out there, and start walking!